I’ve been to Dinesty quite a few times now but I thought it was time for a revisit post! 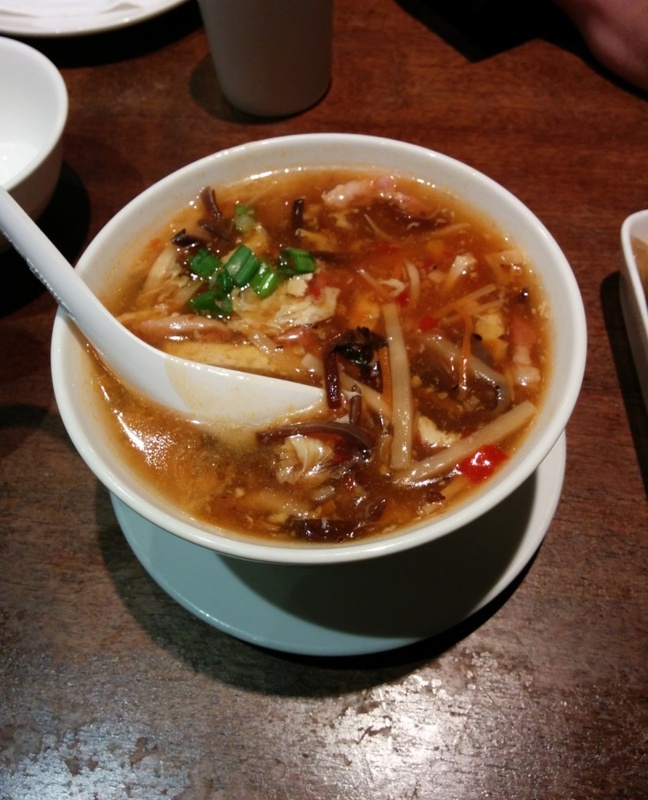 We started off with some Hot and Sour Soup which is not what I would order at a Shanghainese restaurant but my friend wanted some so we ordered a small size which just managed to give the three of us a small bowl each. It was actually more “hot” than most hot and sour soup variations that I’ve had which was good. We could also see some chili pieces in it. It also had a nice assortment of ingredients in it. 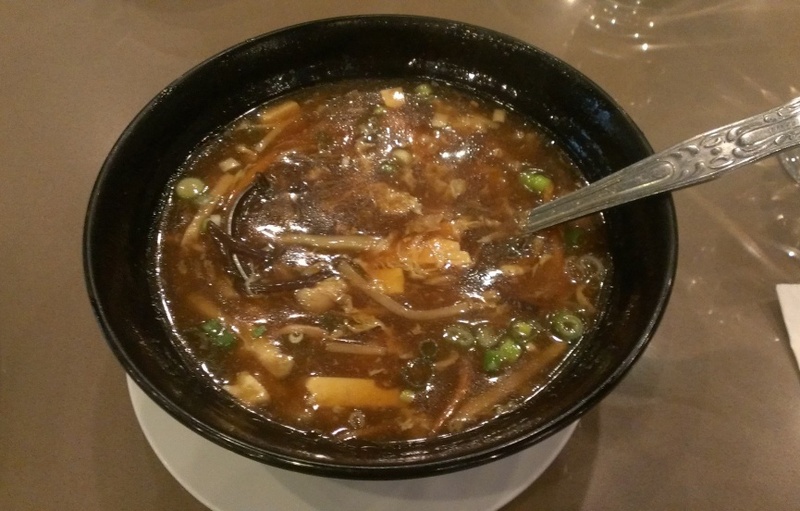 This entry was posted in Chinese, Food Reviews and tagged hot and sour soup, potstickers, XLB. 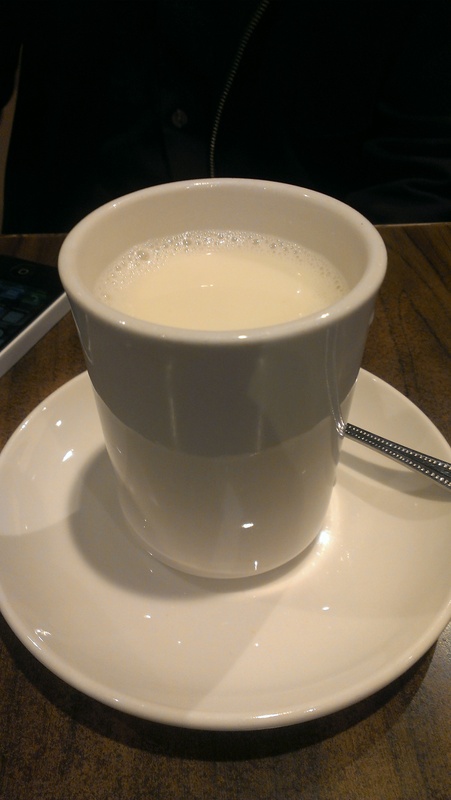 I haven’t been to Copa Cafe in a quite a while since there are so many other HK style and Taiwanese cafes around. However, I love that it’s right across from the King Edward skytrain station and you can’t miss it because it has a bright yellow awning. I had a bad dinner experience here before but that was a long time ago so I had high hopes that it wouldn’t happen again. I wasn’t feeling too hungry so I ordered a BLT sandwich with some side salad. The bread they used was quite thin and flattened. I think it would have been better if they used a slightly thicker piece of bread. It was just a very basic sandwich with bacon, lettuce and tomato. The salad had mostly fruits in it with some potato in a watered down mayonnaise dressing. 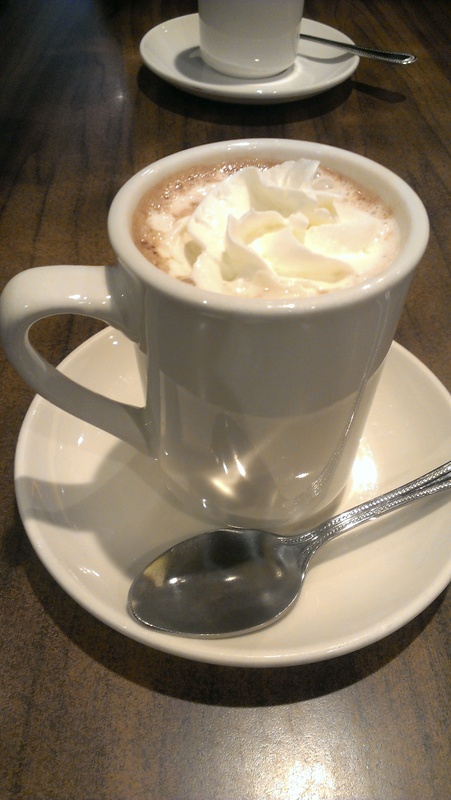 Hot drinks come with the lunch menu items so I just ordered a hot chocolate and it tasted like your usual hot chocolate powder drinks. My friend ordered hot and sour soup for $5 and it was a pretty big portion. Big enough to share actually. It had the usual ingredients like wood ear fungus and bamboo shoots. 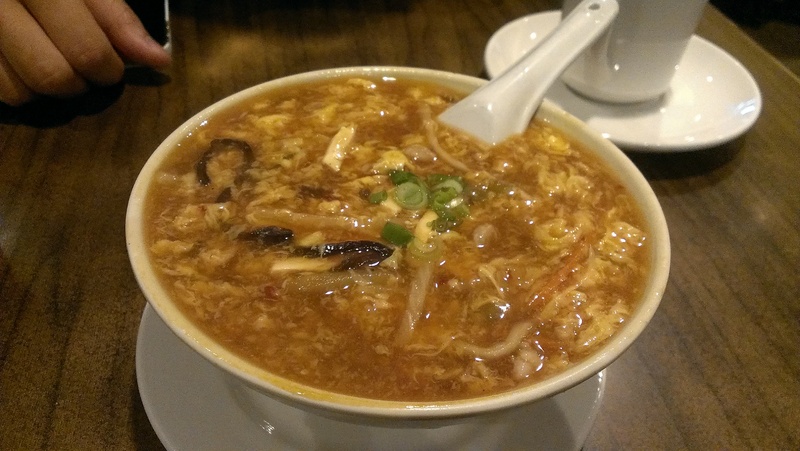 I found that it was a lot more sour than hot though but it satisfied our cravings for hot and sour soup. My friend also ordered the baked ox tongue on rice in tomato sauce. The ox tongue had a bouncy texture and I liked that they had a lot of onions in it. The sauce wasn’t overly cheesy and thick either but there were still substantial amounts of it so it was pretty good. I’m not a fan of almond milk so to me it just tasted really artificial but someone else might enjoy it. 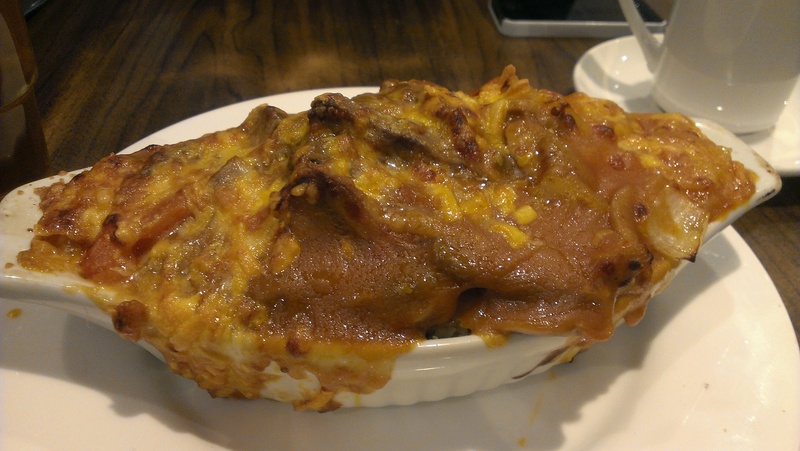 Copa Cafe is a good place to get HK style cafe food in Vancouver and the portions are generally big as well. 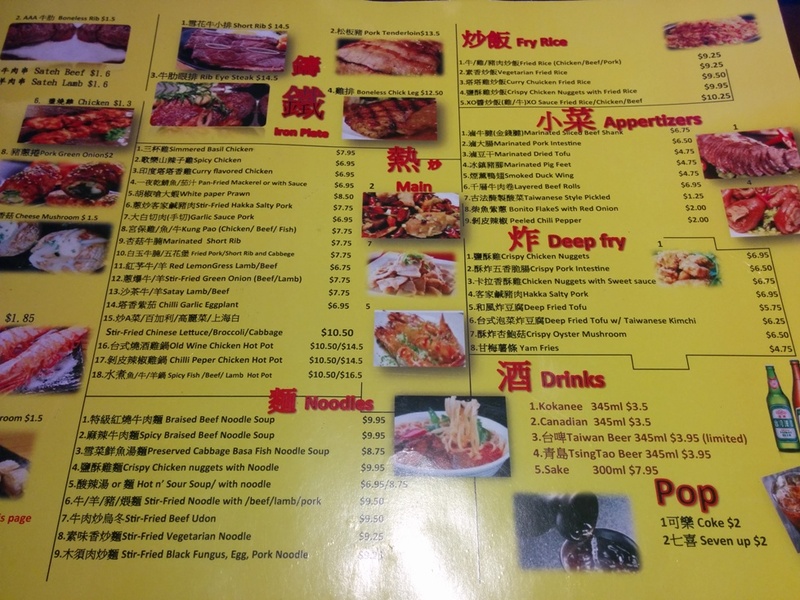 Pricing is consistent with other HK style cafes with similar portions. We also had really good service and the manager was very friendly too. No complaints here! 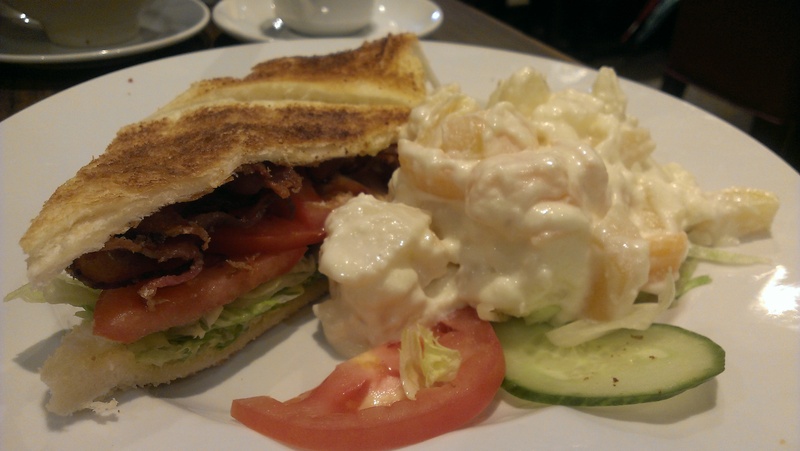 This entry was posted in Chinese, Food Reviews and tagged BLT sandwich, Copa Cafe, HK Style Cafe, hot and sour soup.